Experienced and professional archery hunters and enthusiasts along with beginners are increasingly using single pin bow sights now. Do you know why? Because a single pin bow sight has the ability to improve the accuracy of your shots simply by reducing blind spots and sight clutter. Now you already know that a single pin bow sight is equipped with only one pin, right? 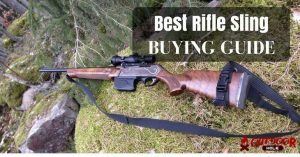 So it is very important for you to select the best single pin bow sight that can be easy, silently, and quickly adjusted to the desired yardage. And when it comes to the selection of the most top rated single pin bow sights, you have to consider factors like accuracy, quality materials, and usability. So let’s get into the details right away so you can make a better decision. Before we get started, you should know the difference between single pin and multi-pin bow sights. Each comes with its own unique advantages and unfortunate disadvantages. So let’s find out what they all are, shall we? A single pin bow sight may have only a single aiming pin but that comes with its own special benefit. Since there is only a single pin in the bow sight, it has the ability to provide an accurate impact point for several distances. Having a single pin also tends to minimize maximum blind spots and sight clutter. The only downside to using a single pin adjustable bow sight is that it takes a while to make the adjustment. But this is not such a big problem. Because the single pin bow sight is built in such a way that you can easily make a quick adjustment even with a single hand and minimum body movement. Pretty neat, isn’t it? While a single pin adjustable bow sight is a more traditional archery tool, multi-pin bow sights came into existence due to modern archery. A multi-pin bow sight is the same as a single pin bow sight except that it provides an accurate impact point for predetermined or fixed distances. And what this means is that you get the opportunity to adapt to the dynamic hunting conditions and situations. But such a benefit comes with a cost, doesn’t it? Each of the 4 or 6 pins that a multi-pin bow sight comes with is determined to achieve a particular distance. So when you have to shoot between these predetermined distances, you will need some practice and a decent guess-working ability. This condition is popularly known as the pin-gap sighting. And it is best executed by professional and expert archery hunters and enthusiasts. 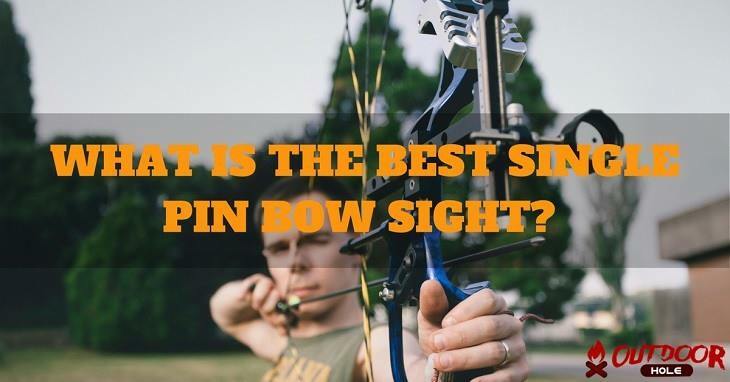 What to look for in the best single pin bow sight? As far as a single pin bow sight is concerned, there is only one element that you need to take into consideration in the buying process. And that is, how effective is the single pin adjustable bow sight in conditions like low light? That’s a pretty long question with a pretty simple answer. Let’s find out! 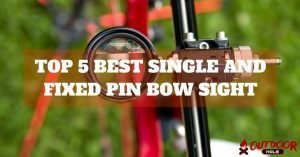 If you’re looking at the most top rated single pin bow sights on the market for hunting purposes, then it’s very important for you to know the answer to that question. Knowing how your single pin adjustable bow sight works in conditions like low light gives you a great head start. As a hunter, you should know that your game is the most active during dusk, dawn, and nighttime. Did you know that? And if you’re going to be bow hunting at these times of the day and night, then you need to know how your bow sight functions in low light natural settings. You should also know that the most top rated single pin bow sights have two ways of dealing with a situation like this. The first is when they are built with high-quality and better optics. That means they have the ability to intake additional natural light found in the environment. The second way is when the single pin adjustable bow sight is built with a supplementary light source itself. The HHA OL-5519 Optimizer Lite Sight is the best single pin adjustable bow sight on the market. And how is that possible? This single pin bow sight enables you to easily adjust it simply by finding a distance to set your baseline for. It sets one single yardage so you don’t need to worry about multiple pins getting in your way, literally. The HHA OL-5519 Optimizer Lite Sight has a very sturdy construction with a pretty efficient working mechanism. All the different elements of this best single pin adjustable bow sight have the ability to perform the functions quite smoothly. The HHA OL-5519 Optimizer Lite Sight is perfect for those who want to take longer distance shots with improved accuracy. To make accuracy even better, you will truly appreciate the bow sight’s frontal magnification lens. This makes viewing much clearer. The bow sight provides a free and clear down range view. Its yardage sticker is equipped with single yard increments. This makes using the bow sight very simple. The bow sight doesn’t come with detailed instructions. The company Trophy Ridge is known to manufacture high-quality equipment. So it’s safe for me to say that the Trophy Ridge React 0.19 Adjustable Sight is not an exception. This single pin bow sight is equipped with Smart Pin Technology. This feature is useful when you want to accurately calculate the pin gap of 100 yards. The Trophy Ridge React 0.19 Adjustable Sight has a pretty easy setup. All you need to do is adjust the two pins and you’re ready to go. Another great feature is the micro windage. This also contributes to adjusting the bow sight easily when you’re out in the woods or the treestand. You will also be glad to know that the Trophy Ridge React 0.19 Adjustable Sight has an excellent level of visible sight. What this does is produce shots that are on target and consistent. The bow sight improves target shooting for both long and short distances. The bow sight is a little too heavy and big. There are many things that you will love about the TRUGLO Archers Choice Range Rover Pro Sight. 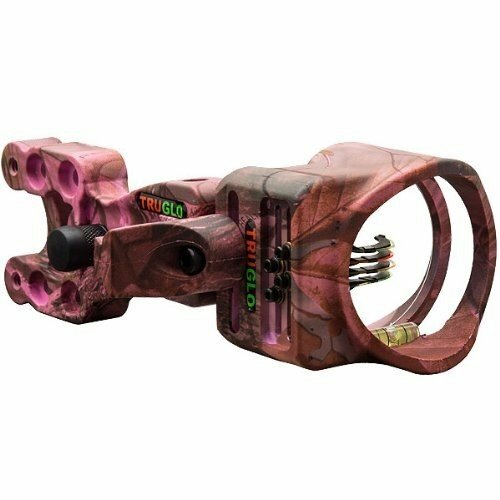 Firstly, this best single pin adjustable bow sight provides archery hunters with an adjustable and highly useful distance stop. Along with such a remarkable feature, it also offers wind adjustment, which can be micro corrected, and elevation adjustments. Do you know what the TRUGLO Archers Choice Range Rover Pro Sight does to improve and enhance long distance accuracy? It provides you with a bright green dot encircled in the middle of the scope housing. The best part about this single pin bow sight is the fact that it can be easily adjusted to fit both right and left-handed archers. The best part about the TRUGLO Archers Choice Range Rover Pro Sight is that it comes with 11 different brightness settings. These settings are helpful when you want to adjust the bow sight to the many different kinds of conditions. The bow sight is very easy to adjust even with tool-less adjustment settings. It helps in increasing your range. The bow sight doesn’t light up in the upper scales. Ever heard of the pin bow sight that is also a multi-pin bow sight? Well, now you have. It’s the Axcel Archery Sights AccuTouch Carbon Pro Sight. 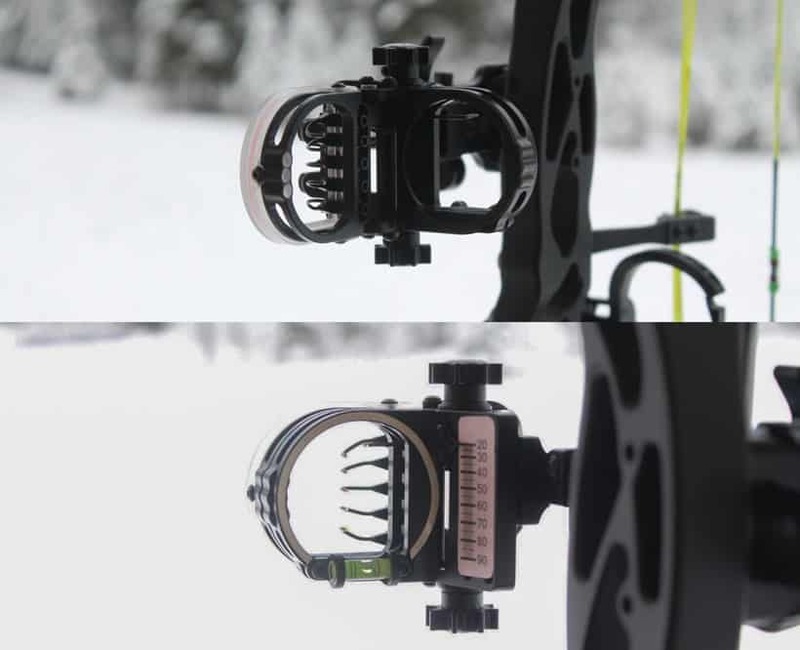 The bow sight’s remarkable Accu-Touch technology makes a transition like this possible. Combine this feature with 45-degree back-facing sight system and you get the opportunity to set the bow sight from some distance away. The Axcel Archery Sights AccuTouch Carbon Pro Sight’s Red Elevation Tension Lever makes it possible for you to easily slide the bow sight on its elevation bar. With the Accu-Touch feature, this single pin bow sight also provides complete axis leveling ability. You will also be glad to know that the Axcel Archery Sights AccuTouch Carbon Pro Sight has the useful Windage Lock Button. And we all know what this does, right? It helps in avoiding the possibility of the windage knob turning once engaged. The bow sight is very light in weight. It offers plenty of adjustment settings. The screws provided to mount the bow sight may be a little less. As an enthusiastic and experienced bow hunter, I can’t tell you how much I appreciate adjustability in the top rated single pin bow sights. The Spot Hogg Tommy Hogg Sight has tons of adjustability features to offer. This single pin bow sight is a movable device that provides excellent distance adjustment that is front controlled. The Spot Hogg Tommy Hogg Sight also offers phenomenal quiver clearance. So if what you’re looking for are excellent quiver clearance and minimum sight adjustability, then look no further than the Spot Hogg Tommy Hogg Sight. With a large and easy to use yardage knob and an engraved laser for accuracy, you get maximum assistance. You also get the cleanest sight picture along with phenomenal craftsmanship with this device. The knobs and adjustments of the bow sight don’t cause any vibration. It offers a cleaner sight picture. The bow sight doesn’t come with a light. When buying the best single pin bow sight, there are many options to choose from. And this article proves just that. All the top rated single pin bow sights that are listed here are built with a design that provides maximum flexibility. They also come with several adjustment settings to improve accuracy. By far the best device when it comes to the most effective single pin adjustable bow sight is the Trophy Ridge React 0.19 Adjustable Sight. It is made for both experienced and amateur archery enthusiasts and bow hunters. This best single pin bow sight is equipped with Smart Pin Technology to improve your shot accuracy. With several mounting holes, it has the ability to raise the versatility level. There is absolutely nothing about the Trophy Ridge React 0.19 Adjustable Sight that will let you down. 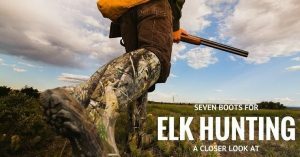 Every feature, right from its high-quality design to ease of use and exceptional accuracy level, is something that every bow hunter will truly appreciate.